Wait, what?! I'm sure quite a few of you have no idea what the title of my blog post means right now, and neither did I really up until a few weeks ago. If you're into facial oils or are unsure about using facial oils then this post may help you out. I've been researching the oleic and linoleic acid content of different types of oils recently after learning that linoleic rich oils are much better for my skin type (oily, acne prone) than oleic rich oils. Oleic acid and linoleic acid are fatty acids that make up the chemical composition of the oil. Oleic is a monounsaturated fatty acid (also known as omega-9), whereas linoleic acid is an unsaturated fatty acid, also known as omega-6. The difference between these two is that our body can produce omega-9 whereas it cannot produce omega-6. From what I understand acne prone skin is often deficient in linoleic acid and our sebum becomes thick from the unbalance and higher oleic acid content, blocking pores and causing congestion and acne. Oleic acid rich oils are generally thicker, richer oils and are great for dry or normal skin whereas linoleic rich plant oils are lighter (generally, I haven't obviously been able to look at and compare every type of oil). I've been looking at my facial oils and studying their ingredients and surprise surprise my favourite oils and the ones I notice actually help my skin are the ones that contain linoleic acid rich oils in higher quantities than oleic oils. Only further solidifying my belief that I'm on the right track for helping my skin with specific oils and cutting out others. Oleic rich: Avocado, Sweet Almond, Sea Buckthorn, Macadamia, Tamanu, Apricot, Hazelnut, Coconut, Shea Nut. Linoleic rich: Black Cumin Seed (Nigella), Safflower, Pumpkin, Evening Primrose, Grape seed, Hemp, Kukui Nut, Kiwi Seed, Rosehip*, Red Raspberry, Blackberry seed. Balanced(ish): Camellia, Jojoba, Flaxseed, Argan, Castor, Pomegranate, Cranberry Seed, Sesame. 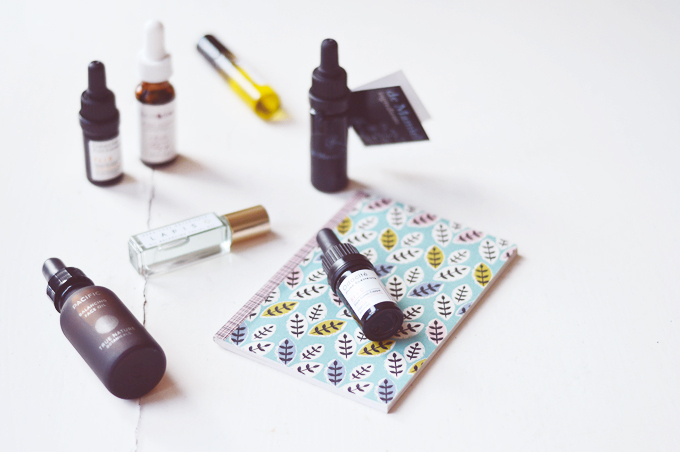 Take a look at your favourite facial oils and see what's in them, then take a look at one that's not been so kind to your skin and see if the oils used were mentioned above. It's so important to read ingredients and understand your skin and the skincare you are using. I hope this was helpful for you and will try and write a follow-up post in the future on my experience on cutting down using oleic rich facial oils and any new research I've found along the way! *Rosehip oil is a funny one, although seemingly the perfect oil for acne prone skin - it does have the tendency to actually cause acne prone skin more harm than good. So be careful with this one. **Please note I'm no scientist or skincare expert, this is my own personal research from all over the internet, googling individual oils and learning about fatty acids. I may not be 100% correct and do not claim to be so. This is such a great post! I first became informed about linoleic vs. oleic from an article by Minimalistic Beauty and have been more aware of them ever since. I definitely am a fan of black cumin, evening primrose, rosehip, and jojoba.